Sounds in danger of extinction? Well, it seems that there are sounds that are about to extinct, to be forgotten and lost forever, like the sound of a tape in a tape recorder, the loadind of VCRs, the symphonic startup of a Windows 95 computer, the ringing of an old Nokia mobile phone. But Brendan Chilcutt aim’s is to preserve these sounds: the sounds of old technologies and electronics equipment. 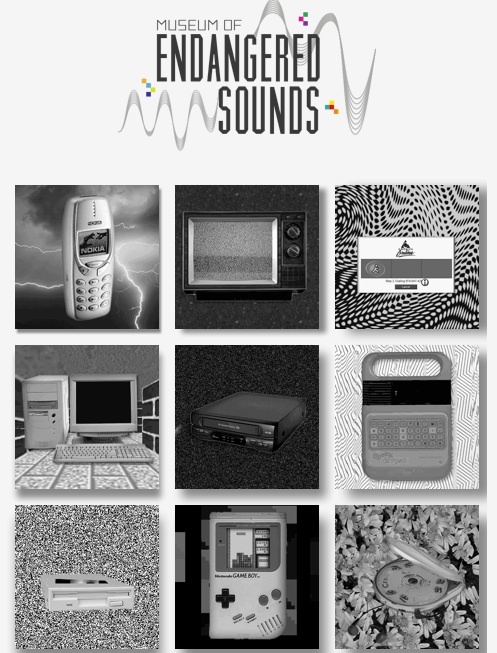 In his site, the Museum of Endangered Sounds, you can hear all these sounds and remember an era before it is totally forgotten. You are currently reading Save the sounds at it's a small web.